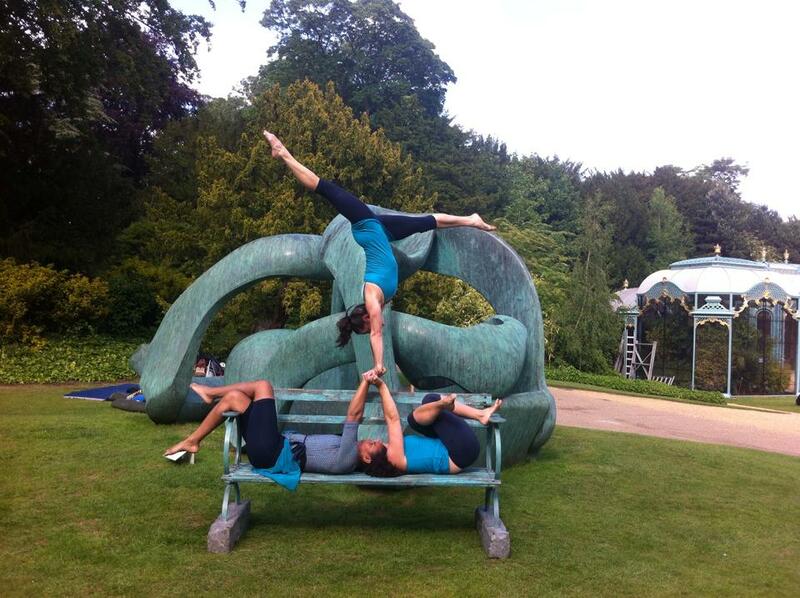 Having done art A level at school, I was ecstatic to be performing right in front of a Henry Moore sculpture! The bench fit into the surroundings beautifully and despite a terrible forecast we managed to perform 3 and a half times out of four, which was really lucky. The audiences really enjoyed the piece and spent quite a bit of time pondering on what to write on the feedback cards. The children in particular gave us some great feedback including, “I liked the costumes best because you looked really silly!“. Amazing!